This Axis buck hunt in the Texas Hill Country is one of our favorites. Most people set out to take one Axis buck in their lifetime, but after the first one they are hooked and they come back time and time again. 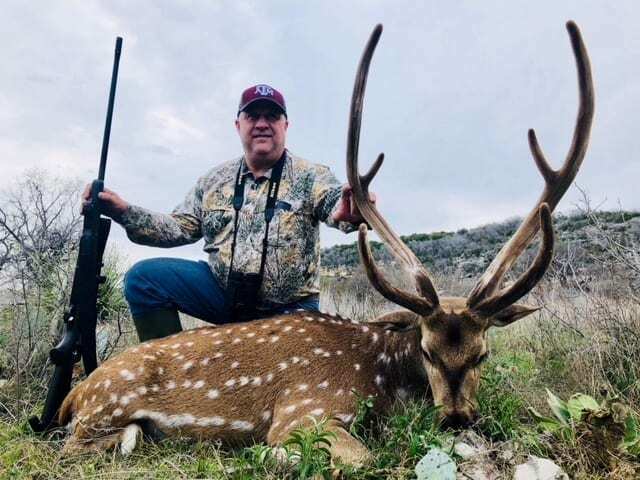 The axis deer in the Texas Hill Country go into full rut in late May and June. The axis buck roar their heads off as they search for their does and fend off the other big bucks in the area. If you like elk hunting then you will love axis deer hunting. Not only are the trophies magnificent, but the meat is over the top. In fact, many of our hunters book the axis doe hunt just because the love the meat so much. We have multiple exotic hunting ranches in the Texas Hill Country that offer free range and high fence axis hunting. We have hunts where we spot and stalk the animals or we can also sit on stands over food plots and travel routes. When you show up, expect to see recent trail cam photos of patterned bucks that have been hitting the feeders. We hunt the hills, and river bottoms in some rugged country. 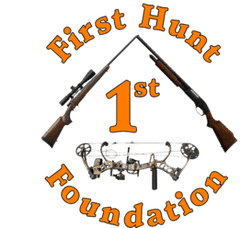 This hunt can be as demanding as you would like to work or easier for the people that simply cannot hike the mountain tops. This is a fun hunt will work for everyone.